Billy Idol observed the niceness of a day for a white wedding. This Friday seems a nice day for a white crocus - as a cheery send-off into the weekend, not to be confused with a punk rock song. Since this has been one of those weeks where Tuesday felt like a Thursday, I think a pleasant segue is in order. 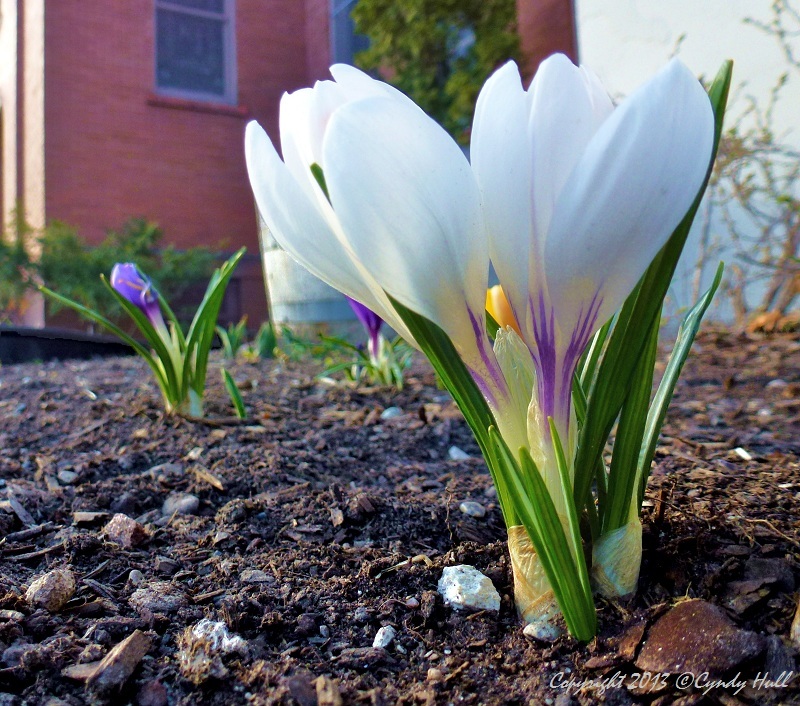 In these parts, the crocuses are fair and fleeting, their bloom time minimized by the onset of warm temperatures. I glimpsed this one about a week ago, as I exited the public library.